In 2018, we secured over 1000 IDs for folks who needed them. From red tape to lost documents, securing IDs for disadvantaged folks is hard. Each ID is the opportunity, hope, and a chance for a better life. 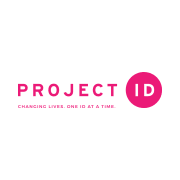 Every ID is someone's ticket to a job, to a place to sleep, to putting food on the table. Every ID is the key to being a person again. IDs change lives. We know what an ID means now, and we know how to get them for our clients fast -- in 2019, we've obtained an additional 800+ IDs!!! To keep this momentum going, we've been launching chapters and training volunteers in four new states, and we're looking to expand into more. And above all else, we want to be in a position to help over 100 Americans secure IDs each week. But we can't do this critical work without your help. Varies based on the client and the volunteer - minimum 1 hour per week.